Brexit Secretary Stephen Barclay has accused the EU’s chief negotiator of trying “to rerun old arguments”, as talks continue between the UK and EU. Michel Barnier said Great Britain would be free to leave the proposed single customs territory, designed to avoid physical border on the Irish border. But the government and the DUP have rejected this because Northern Ireland would have to remain within it. Mr Barclay said the UK had “put forward clear new proposals”. The UK and the EU remain at loggerheads over the contentious issue of the Irish backstop – which is designed to prevent physical checks on the border between Northern Ireland and the Republic of Ireland. The Commons Northern Ireland Affairs Committee has suggested there may be a possible technical solution to the border problem “but only if there is trust and goodwill”. On Friday the EU said it was prepared to include a number of existing commitments relating to the application of the backstop in a legally-binding document. In a series of tweets Mr Barnier said the UK would not be forced into a customs union against its will through the Northern Ireland backstop. He said it would be able to exit the single customs territory unilaterally if it chose to do so. But, he added, Northern Ireland would remain part of the EU’s customs territory, subject to many of its rules and regulations. Mr Barclay and the DUP, the party Mrs May’s government relies on for a majority in Parliament, were both dismissive of Mr Barnier’s proposal. Nigel Dodds, deputy leader of the DUP, said the proposal “disrespects the constitutional and economic integrity” of the UK, and it was neither “realistic nor sensible”. The government has previously said it would not agree to anything which threatened the constitutional integrity of the UK. Meanwhile, a report published on Saturday by the Northern Ireland Affairs Committee has suggested a “world first” mobile phone identification system could be the solution to invisible border control. The system would use either the mobile phone network or radio frequency identification to check goods or driver ID without leaving the vehicle, in combination with a trusted trader scheme. Border surveillance would utilise automated number plate recognition and CCTV. Lars Karlsson, a former director at the World Customs Organisation, said all the separate elements which make up the proposal “have been tested somewhere in the world, just not in one single border”. The border in Northern Ireland would be “the first and a leading example in the world of this kind,” he added. However, the committee urged the UK and EU negotiators to agree on a definition of a hard border by 12 March. 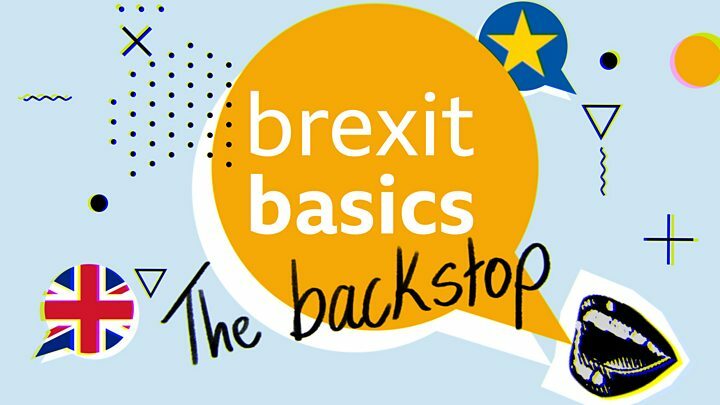 “Mistrust over the backstop protocol has been heightened by lack of clarity on what exactly constitutes a ‘hard border’,” said chairman Andrew Murrison. “Time is running out to reach common ground,” the Conservative MP warned. How could a mobile phone ID system work? The driver’s mobile is identified at the border using either the mobile phone network or Radio Frequency Identification. MPs are due to vote again on Theresa May’s Brexit deal next Tuesday, but so far the UK has not secured any changes to the withdrawal agreement in its negotiations with Brussels. UK and EU negotiating teams will meet again over the weekend correspondents say there is little sign of a breakthrough. The first Commons vote on the deal was rejected by 432 votes to 202 in January, the largest defeat for a sitting government in history. Leading Brexiteers are unlikely to change their position on the deal unless Mrs May can secure promises that the backstop – which would see the UK aligned with EU customs rules until the two sides’ future relationship is agreed or alternative arrangements worked out – will not endure indefinitely. Remainer Dominic Grieve, who backs a referendum to endorse the terms of Brexit, said it was “hard to see” how Parliament would agree to the current deal. And there is little support for the deal elsewhere in the house. “I want to make it clear to the PM that if she fails again, it will be the end of the road for her deal,” said Labour leader Jeremy Corbyn on Friday.